Ophthalmology department is comprised of the REI Urgent Care and Outpatients, which provides services for patients of all ages. We provide ophthalmic emergency care, as well as planned outpatient services. We see over 1,000 patients a week in our purpose built department within Derriford hospital. We have an excellent multidisciplinary approach to patient care sharing good practice at regular governance meetings. Our HCA team support the registered nurse-led clinics and also work in Urgent Care assessing patients prior to seeing a Nurse Practitioner or Doctor. The department offers many opportunities for nurses to develop knowledge and skills in Ophthalmic Nursing. We have a good education programme for staff new to ophthalmology. We undertake registered nurse-led clinics that include intra vitreal injections, botulinum toxin, fluorescein angiography, glaucoma clinics, and follow up post-op cataract. 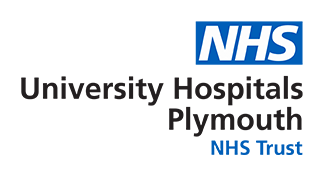 We are a small team who take a great pride in providing high class care to the ophthalmic patients from both Devon and Cornwall.